I would like to know more about this amazing country. Can anyone give me some info or wikipedia? Finland is very green country. He's got a point, -F3TT-. But it is green too! Finland, Finland, Finland! That's the country for me! it's a song.. go see Spamalot. I want to go there with my mum, brother and stepdad, but my mum says " She needs to see others countries first before she dies. " It would be really cool to see you in Finland. LOL yea i know that song! Finland really is pretty! My mum is gonna make me ravioli on toast just now! Finland, officially the Republic of Finland (Finnish: Suomi; Swedish: Finland (helpÃ‚Â·info)), is a Nordic country situated in Northern Europe. It has borders with Sweden to the west, Russia to the east, and Norway to the north, while Estonia lies to its south across the Gulf of Finland. The capital city is Helsinki. Around 5.3 million people reside in Finland, with the majority concentrated in the southern part of country. It is the eighth largest country in Europe in terms of area and the most sparsely populated country in the European Union. Most Finns are native in Finnish, which is related to Estonian and is one of the few official EU languages not of Indo-European origin. The other national language, Swedish, is spoken natively by 5.5 percent of the population. Finland is a democratic, parliamentary republic with a central government and local governments in 415 municipalities. Greater Helsinki (including Helsinki, Espoo, and Vantaa) totals a million residents and a third of the GDP. Other major cities include Tampere, Turku, and Oulu. 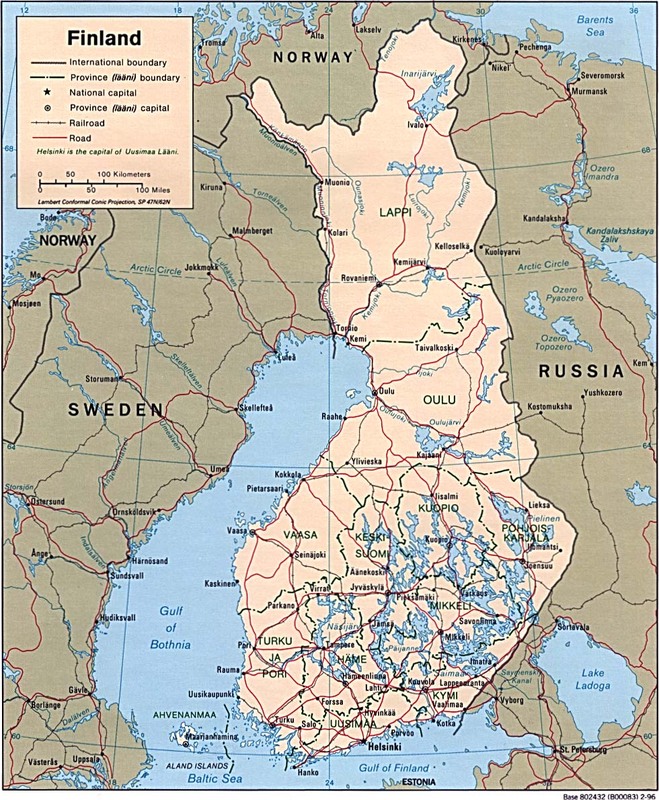 Finland was historically part of Sweden and from 1809 an autonomous Grand Duchy within the Russian Empire. Finland's declaration of independence in 1917 from Russia was followed by a civil war, wars against the Soviet Union and Nazi Germany, and a period of official neutrality during the Cold War. Finland joined the European Union in 1995 and participates in the Eurozone. don't make me hungry!!! lol jkjk sounds good! I had a small child to go with it aswell! I've had my tea just now.